VALLEY CITY, N.D.—Northern Plains Nitrogen achieved an important benchmark recently in its effort to build a state-of-the-art fertilizer facility in Grand Forks. A “Permit to Construct” was issued by the North Dakota Department of Health’s Division of Air Quality, clearing the last of permitting hurdles for the project. The milestone is a good time to share with the community the status of NPN and why those who have been involved with this project from the beginning remain committed to making this a reality. Global competition and the expectations consumers have for high-quality, low-cost food are putting enormous pressure on farmers in North Dakota and throughout the northern plains to become more efficient. The challenge is made that much more difficult when increases in the cost of production have outpaced increases in commodity prices since 1990, according to the U.S. Department of Agriculture. And, on top of all that, there is a great emphasis on production stewardship—adopting best practices to protect the environment. Northern Plains Nitrogen promises to be an important part of the answer to these challenges. For example, NPN will manufacture several forms of nitrogen-containing fertilizers at its proposed Grand Forks facility. But a key strategic focus will be to shift the prime market to liquid products, especially urea ammonium nitrate, a clear liquid product containing 32 percent nitrogen in three different forms. The different forms create the environmental advantage for UAN over other nitrogen fertilizers. Agronomically, the vast majority of nitrogen taken in by plants is in the nitrate form. Urea ammonium nitrate solution contains nitrate nitrogen, which is ready for immediate uptake by the plants. It also contains urea, which needs to be broken down largely to nitrate nitrogen over time for plant uptake. And, it contains ammonium, which takes even longer than urea to be ready for uptake by the plant. The result: with Urea ammonium nitrate, seeds have an immediate source of nitrogen, and maturing crops benefit from the ongoing, gradual release of nitrogen. Urea ammonium nitrate counters the problem that occurs when too much nitrogen accumulates in the soil. It allows for flexible and precise application. Urea ammonium nitrate growers can feed the crop as nitrogen is needed and as plants are able to remove it from the soil. Plants get the right nutrition at the right time, providing both agronomic and environmental benefits. The demand for the crops grown throughout the northern plains region will assure a strong market for nitrogen fertilizer. But with most of the urea used by area farmers coming from outside the region—much of it from foreign markets—sufficient inventory can be disrupted by everything from late ice-out on the Mississippi to backed-up rail traffic at choke points throughout the country. Our commitment to Grand Forks and to farmers is personal. Along with broad and deep industry expertise, Northern Plains Nitrogen’s leaders have North Dakota expertise. Many of our members have longtime roots in our state. My experience is typical. I farm near Valley City, raising corn, soybeans and spring wheat. I earned a degree at North Dakota State University. Throughout my career, I have made service to the state and community a priority, serving in leadership positions of many organizations, including three terms as president of the North Dakota Corn Growers Association. 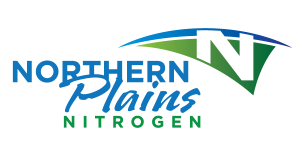 Northern Plains Nitrogen still faces challenges, including the very difficult task of recruiting significant financial partners in a very competitive marketplace. The Grand Forks project is a $2 billion-plus undertaking. While we continue to have productive conversations with potential investors, we do not have the financial backing needed to break ground. Anderson is president of the board and a managing partner of Northern Plains Nitrogen. View the original story here. A proposed nitrogen fertilizer plant just northwest of Grand Forks took another forward step today when the North Dakota Department of Health issued a “permit to construct” after analyzing the facility’s air quality impact. A news release this afternoon said Northern Plains Nitrogen has received all necessary permits for the $2 billion project. The final permit, issued by Health Department’s Division of Air Quality, followed a 30-day public comment period. The state received “only positive feedback,” and an endorsement by the Grand Forks Region Economic Development Corp., the release said. In addition, the release said NPN received approval from the city of Grand Forks “to take an innovative approach to ensure an adequate supply of process and cooling water” for the plant, which will get a large portion of its water needs from the city’s sewage lagoons. NPN developers continue to seek financing to begin construction sometime in the next year or two. About 2,000 constructions workers would be needed for 36 months to build the plant. BISMARCK — The State Water Commission granted permission Friday for Grand Forks to pump additional water from its wastewater lagoons and the Red River to meet the needs of a proposed fertilizer plant and other industrial users. Northern Plains Nitrogen is proposing a $1.85 billion, 340-acre fertilizer plant on the north edge of Grand Forks. Construction is scheduled to start next year, with startup expected in 2018. The plant would produce about 1.5 million tons of fertilizer products per year. To meet the plant’s water demands, the city sought permission to pump 7,287 gallons per minute from its wastewater lagoons, or 11,755 acre-feet of water annually. Currently, the wastewater is treated and released back into the Red River. per minute from the Red River, or 6,717 acre-feet annually. The State Water Commission has final authority over any water permit in excess of 5,000 acre-feet. “There’s plenty of water in the Red River without the outlet,” Patch said. gallons of treated potable water per day from the city of Grand Forks as a backup for the wastewater supply. Coey said the company had submitted an application for an air permit from the state Department of Health, which he expected to receive in the next four to six months. secured most other required permits. BISMARCK, N.D. _ Urea plants to start operating in about two years could supply the entire state of North Dakota, and then some. “We have a lot of demand in the state and a lot of demand in the region,” said Dave Franzen, a North Dakota State University Extension soil specialist. The use of urea, an agricultural nitrogen-based fertilizer, has been on the rise, Franzen said. About 450,000 tons of it is used by farmers in the state each year, he said. Dakota Gasification Co., said 2.4 million tons are imported into the region each year. Three new plants, which will come online around the same time between 2016 and 2017, will together produce about 2 million tons of urea annually. That will offset about 83 percent of imports into the region. *Article originally published on FarmAndRanchGuide.com, March 23, 2014. Click here to view full article. NPN continues to make progress toward its goal of opening a state-of-the-art facility in 2018. While the project remains challenging, important benchmarks are being met. Most significantly, NPN has secured ownership of a site and the right of way for railroad interconnect. The site is 320 acres of prime industrial property in the northwest quadrant of Grand Forks. It is served by critical infrastructure, including Grand Forks centralized water treatment (WWTP). The WWTP will support our plan to reclaim water, ensuring an adequate supply of process and cooling water; conserving the region’s supply of fresh water; reducing and preventing pollution; and, improving wetlands and stream habitats (a wetlands study has been completed and is being submitted to the US Army Corps of Engineers). like the process to move more quickly, we are pleased with the progress to date. Officials with a North Dakota company and a Chinese engineering firm sat down at the state Capitol on Monday to sign a memorandum of understanding that could lead to a large fertilizer plant in the state. Signing the document were Darin Anderson, chairman of Northern Plains Nitrogen LLP of Grand Forks, and Wang Lvbei, vice president of China Chengda Engineering Co., Ltd.
“This is a win-win … for both Chinese and North Dakota companies,” Lvbei said via a translator. *Article originally published on FarmAndRanchGuide.com, November 18, 2013. Click here to view full article.